Ask for a video of this ring! Quite a unique design in this 14kt White Gold Diamond Engagement Ring. the Ring has three rows of round brilliant diamonds which are Pave Set. 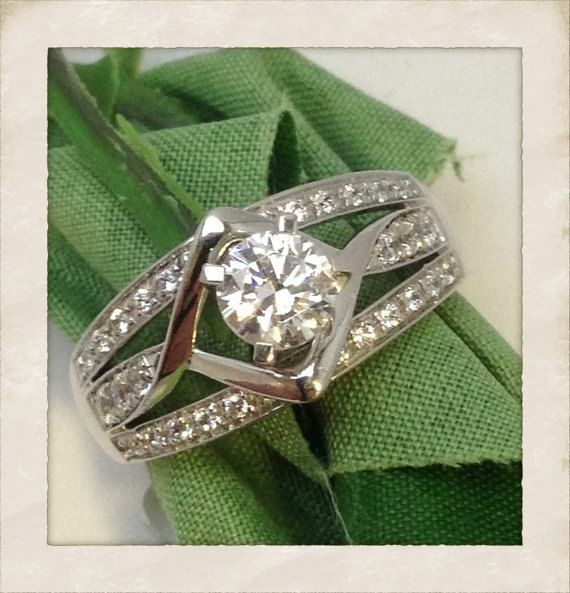 The Ring has a cool twist design close to the center Round Stone. All in all, you will love this ring.This ring is made for a 1 Carat Size Center Stone. 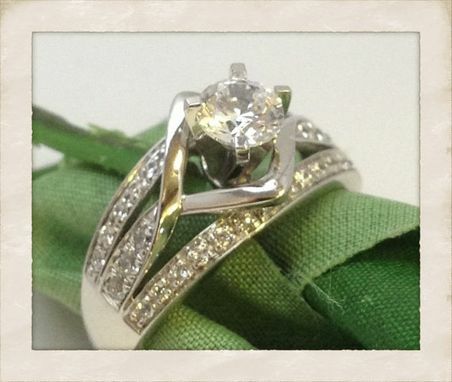 Center Stone: This ring is made for a 1 Carat Size Center Stone.